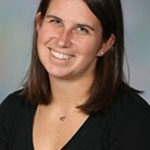 Amy Martin is entering her second season as an assistant coach at Niagara. Prior to Niagara, Martin spent two seasons as an assistant coach at Kennesaw State University in Kennesaw, Ga. from 2014-16. Martin’s primary responsibilities were coaching the goalies and developing the defensive game plan, as well as, being the main point of contact for incoming student-athletes.